A woman was arrested Monday on suspicion of trying to smuggle 27 pounds of meth through a border patrol checkpoint. SAN DIEGO (CBS 8) - A woman was arrested Monday on suspicion of trying to smuggle 27 pounds of meth through a border patrol checkpoint. Border agents at the checkpoint on Highway 86 stopped the driver of a Cadillac late Sunday night. 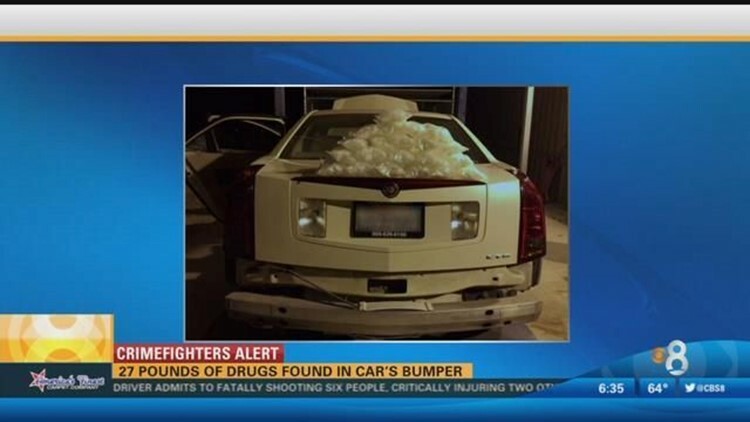 When they inspected the car, they found dozens of packages of meth hidden inside the car's rear bumper. The drugs have an estimated street value of $267,000.